Spring chores for your fruit trees and grape vines. We’re not done with winter, but we do have garden chores to do this month. Outdoor tasks center mainly around pruning fruit trees and grapevines. This is the month we prune table grapevines in the Valley and begin pruning fruit trees. Why should you prune grapevines? If they’re left unpruned, they’ll set too many flower-fruit buds, reducing the quality of the harvested grapes. When the vine blossoms, the food (carbohydrates) available will be diluted over the length of the vine, resulting in some bunches not filling out properly, other bunches never maturing and some having an insipid or sour flavor when ripe. If you don’t prune a grapevine, it also may delay fruit’s ripening past the first frost, which will destroy your crop and put the vine at risk for freezing damage, since it didn’t have chance to prepare for winter dormancy. Annual pruning prevents a tangled mess of vines, too. If you have a young table grapevine, three years old or younger, leave from 10 to 20 fruiting buds per vine. If the vine is older, you may leave 40 to 60 buds. There should be twice as many bunches of grapes on the vine as the fruiting buds that are left. June is the proper month for fertilization. A good application of well-rotted compost should be sufficient, and preferable to synthetic chemical fertilizers that may attract harmful insects. If you’ve bought bulk compost, try to make sure it doesn’t contain herbicides. 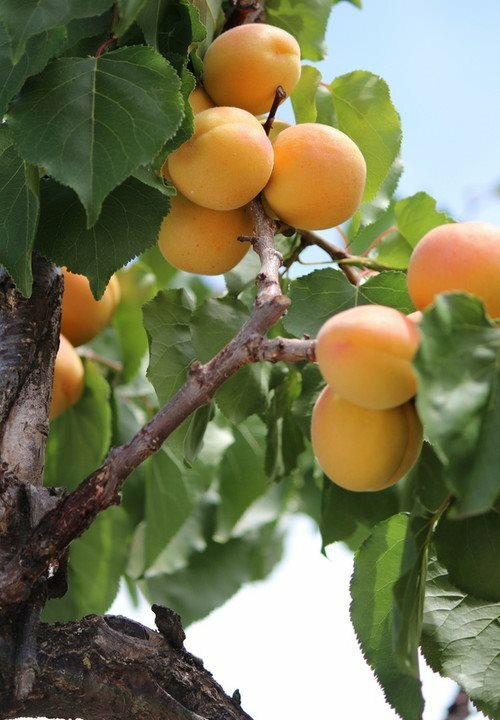 Pruning fruit trees requires that you first prune out the damaged, dangling and dead limbs and twigs. Then go after crossing branches and twigs that, when wind blows, movement can damage the adjacent branches or twigs. Prune 1/3 off the new top growth, and 2/3 of new growth on the laterals. The purpose of fruit tree pruning is to open up the crown to admit sunlight and air movement to all branches, reducing fungal infections. Heed too her other advice: If a ladder is required, make sure a second person is at hand to call an ambulance if needed. Also have a designated caller on hand if you’re using a chain saw. Pruning stimulates vegetative growth (more limbs) when spring and summer come around. “Water sprouts” or twigs rising vertically from limbs will appear and they should be removed. No flowers/fruit form on vertical limbs, only on horizontal limbs. The closer to horizontal, the better a limb will fruit, but unless you keep that limb cut back and fruit thinned in June, heavy fruiting will break the branch. If a branch looks to be in danger of breaking, prop it up. Breaking large limbs tear bark from the trunk, putting the tree in danger of infection.